There have been so many tempting holiday offerings from all of my favorite brands this year. One that I haven’t covered yet is Elizabeth Arden! I have tried a few makeup items from their line and tried little samples of their skincare in the past, but the holiday sets are the best way to get to try big sizes of lots of products on the cheap! deluxe sizeCeramide Premiere Regeneration Eye Cream. The name of the game here seems to be luxury. The box is gold and the products are too. 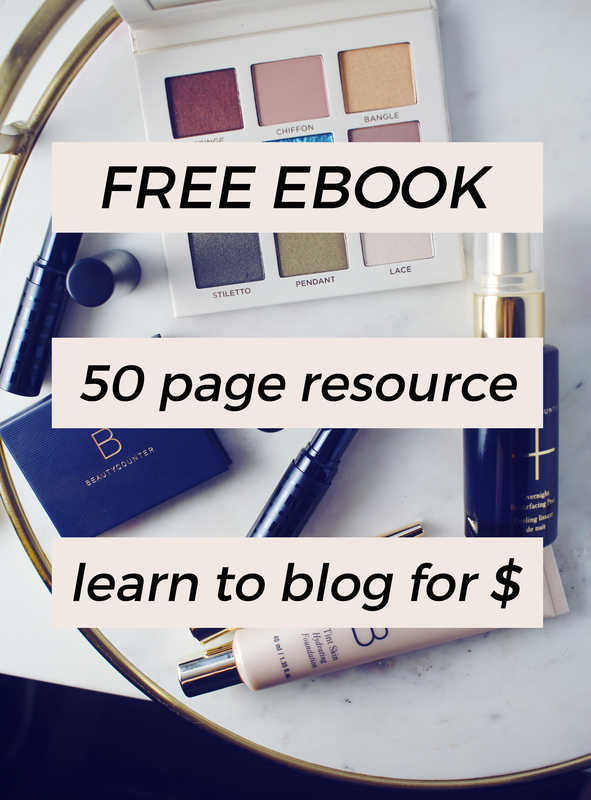 I haven’t tried any of these products extensively, but I can give you some of my first impressions. 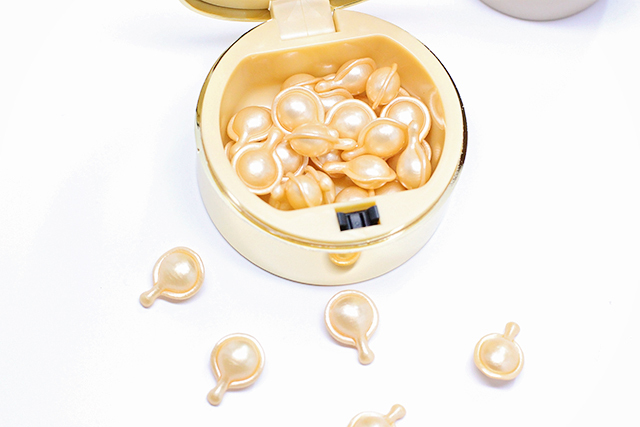 First, the Ceramide Capsules Daily Youth Restoring Serum. These are so fun to look at and you get 30 of them in this set, which is pretty darn good. You twist the end of one of the capsules and out pours a lightweight, silky-smooth serum for your face, neck and décoletté that instantly infuses your skin with youth-restoring Ceramides. The serum is really nourishing and not at all greasy. I immediately noticed a firmer texture and a more luminous skintone. You could use these morning and night if you wanted to, although with only 30 pieces in the kit, they won’t last you long. I have been enjoying using these on my face and neck, and any additional product I have been smoothing through my hair. Totally loving it! 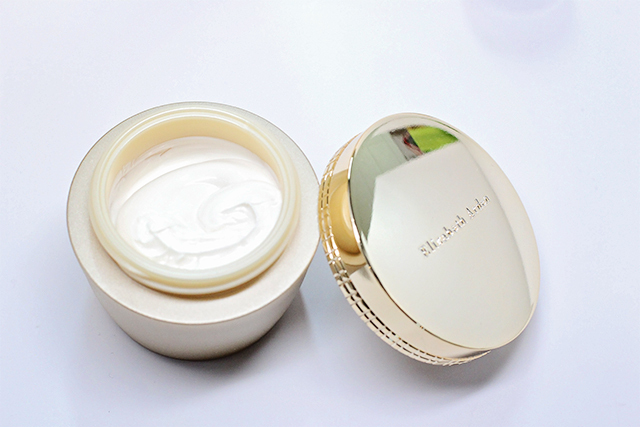 I’m also really enjoying trying out the Ceramide Premiere Intense Moisture & Renewal Active Cream SPF 30. It’s a very intensely rich face cream. And you get a full size jar! 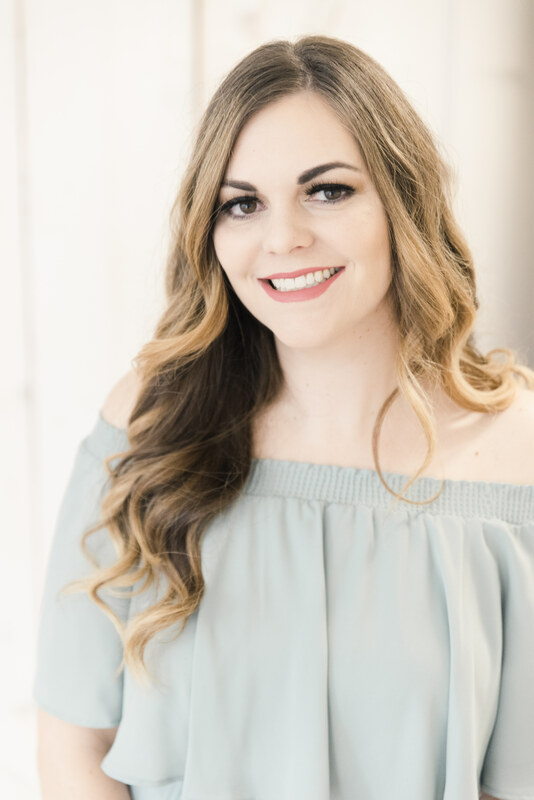 This cream uses ceramides and high-performance retinols to help support your skin’s own natural collagen, so it really plumps up the skin and makes it so soft. Once again, I immediately noticed that the texture of my skin was improved. It is such a treat to use! I hope I see some long term effects from this because it is also supposed to improve the appearance of age spots, discolorations and overall radiance. Lord knows I could definitely use some help with all of that. You also get two deluxe products here. The Ceramide Premiere Regeneration Eye Cream and the Ceramide Premiere Overnight Regeneration Cream. Although they’re small sized, there is still a decent amount in there! 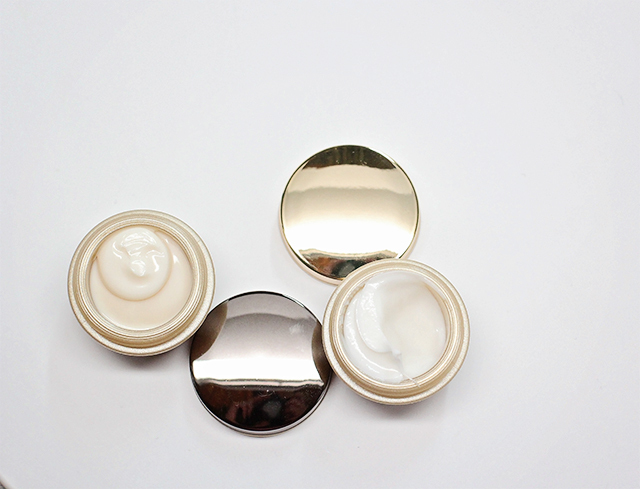 The eye cream is supposed to reduce the appearance of puffiness, dark circles, fine lines and crow’s feet. I’ve been trying it out at night so far, but I can attest to the fact that it feels super nice on my skin, and I definitely think that area feels firmer overall. Again, this is not a full review, but my first impression is that I really like this and I’m picky about eye cream! The overnight cream also feels great. I am most picky about my night time skincare routine because I know that’s when most of my skin’s regeneration happens. Both the night cream and the eye cream are a great size for travel as well! 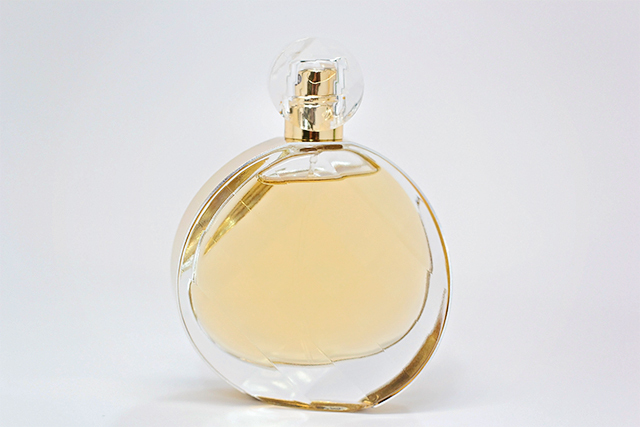 Another awesome Elizabeth Arden gift is the Untold Absolu fragrance. The bottle is really striking in its design- it is curved and has a multifaceted front. 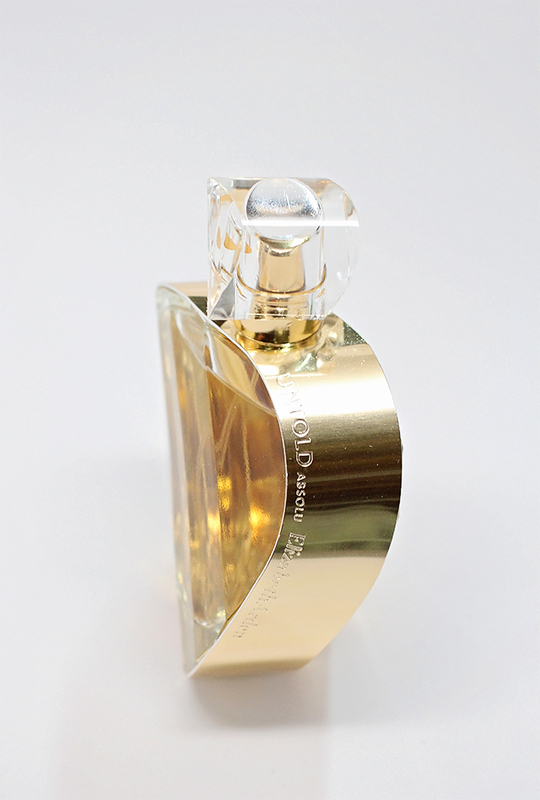 There is a gold banner displaying the perfume’s name on the edge. It’s so pretty! The scent is floral absolutes, red plum and black raspberry accents alongside an amber base. I think a lot of women would like this. It smells sophisticated without being old lady. I could see wearing it as an every day scent! 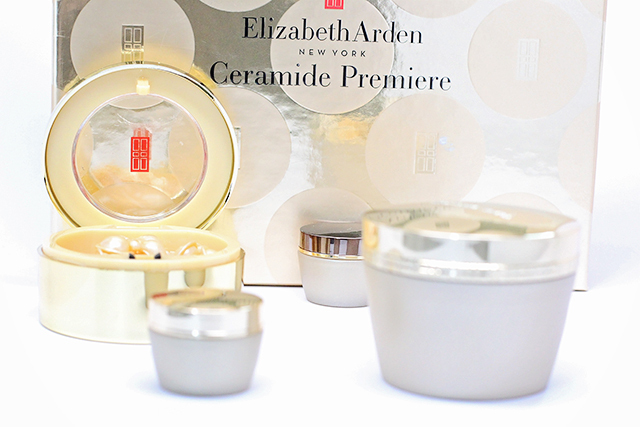 All the gold packaging on the Elizabeth Arden launch is making me think of the holidays and everything luxury. Do you agree? What’s your favorite Arden product? Would you try one of these items? I think the gift set is especially a great deal, and I just noticed Elizabeth Arden’s website has 20% orders of $100+ for the holidays! I haven’t used Elizabeth Arden in forever. I used to steal it from my mom. 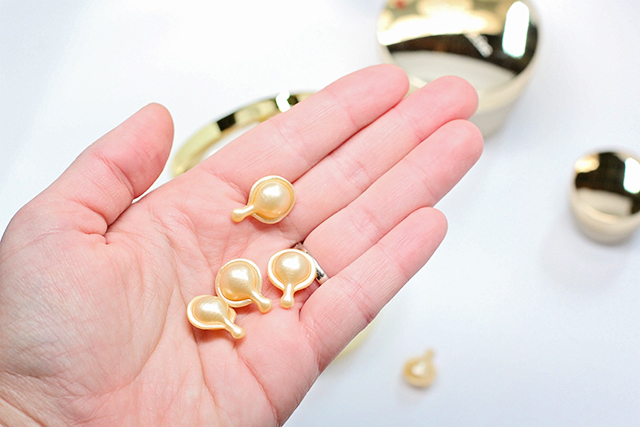 I did use ceramide beads previously, and experienced good results. I love that gold packaging. EA is one of my long time favs in general. Red Door used to be my go-to “power” fragrance. When I needed a confidence boost, or I wanted to feel super powerful, it’s what I wore- like the red power tie of the 80’s. Oh wow, the perfume is amazing! I’m such a weirdo but I love little serum capsules. It’s a huge selling point for me!!! That packaging is so luxe! I’ve never tried the EA beads, I’d like to!